Most pregnant women would be familiar with the symptoms of morning sickness. Some people suffer from gastrointestinal distress and know the feeling all to well. Nausea can be a very uncomfortable feeling to say the least. For thousands of years Baltic amber has been an ancient remedy that’s renowned for helping with a variety of health issues. Can the properties of amber help with nausea too? This ancient remedy dates to a period before the iron age. Because of the healing power of amber, many people use it to treat symptoms of pain and discomfort. The property found in amber that specifically helps nausea is the succinic acid. Wearing amber jewellery brings the amber in contact with your skin. Your body temperature helps to warm the amber which in turn releases the succinic acid beneficial to overall well-being. 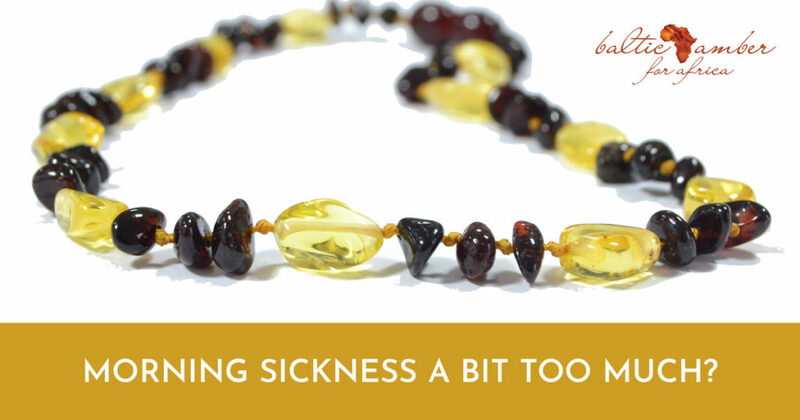 Perhaps many people don’t realize it, but Baltic amber is known to help with nausea too! This is good news as it’s a natural way to relief the discomfort of nausea without affecting an already sensitive digestive system. We recommend our adult necklaces and bracelets (https://balticamber.co.za/product-category/adult-necklaces-and-bracelets/) which are available in our online store. This entry was posted in blog and tagged Baltic Amber for Africa Nausea, Gastrointestinal Distress Fix, Nausea Natural Relief, Pregnant Nausea Treatment.